If you haven’t read it yet, the article on the Guardian website by American lawyer and blogger Glenn Greenwald on the assassination of US citizens outside the US by the Obama Administration is sobering reading. Picking through the assumptions of the Department of Justice memorandum setting out the legal basis for such actions, Greenwald argues that the measures constitute ‘an authoritarian conflation of government accusations and valid proof of guilt.’ Greenwald sets out clearly and compellingly the legal and philosophical bases for this view, arguing that there is a depressing continuity between the Bush/Cheney years and the present administration. To twist a one-liner from The West Wing, the US at present seems to be setting itself up as Joe McCarthy with first-strike capability. It’s the answer that led those who’ve been told for so long by so many to be cynical and fearful and doubtful about what we can achieve to put their hands on the arc of history and bend it once more toward the hope of a better day. It’s been a long time coming, but tonight, because of what we did on this date in this election at this defining moment change has come to America. Two months later, at his inauguration, we listened as he repeated this theme, promising that he would lead Americans to ‘choose [their] better history; to carry forward that precious gift, that noble idea passed on from generation to generation: the God-given promise that all are equal, all are free, and all deserve a chance to pursue their full measure of happiness.’ Whether any mortal could have lived the promise of such rhetoric is open to question: but we hoped. I don’t want to believe that this is the ‘real’ Obama, and that I have been dazzled by propaganda, lulled into romantic complacency. In addition, I know that historical reputation is always contingent on what happens next, which no-one can tell you for sure until it’s already happened. And even then it is always, as Zhou Enlai reportedly said of the French Revolution, ‘too early to tell’ what an event means or a person has accomplished. Sometimes, as with JFK, the birds come home to roost after the person themselves has gone, meaning we have to reconcile the promise of the past with our disappointment at its consequences. It is almost always the hope that things will be different next time that allows us to do so. In this case, however, it needn’t be too late: the next time is now, the change in the future is still at hand, a better history can still be chosen, even if what has been done cannot be undone. We have to hope that the disclosure of these documents makes those responsible look again at their actions and stop. 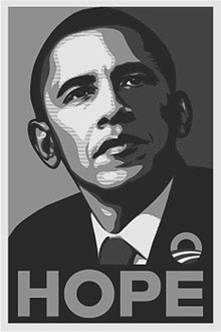 Once again, Mr. President, you need to give us hope for a change.